If you’re reading this and you’re one of the few who often finds yourself in a position to take action as an ambassador for the game of lacrosse, keep reading. You’re about to find out about an opportunity to give back to the game by positively impacting the lives of those who represent its future. Best part aside from making a big difference? You get to play lacrosse with SPEED. While “sport” plays a massive role in molding the culture of the world through all forms and mediums, it can be difficult to identify authentic opportunities to get involved. The Courage Game is one of those events in our game that stands out above the rest, providing a genuine chance to make a difference in the lives of children. Whether you can personally relate to Braeden Lange who inspired the Courage Game or you simply understand what it’s like to be made fun of for “being different,” this is a chance to use our sport for social good by playing fast for a purpose. That’s why I’m really not surprised at all to see Casey Powell get involved with the Courage Game. If you know Casey – or you even know of Casey (we all do) – you know how he puts his all into everything he does. If he’s your teammate, coach, friend, watch out because you’ll know Casey cares. Those of us embedded in the lacrosse community have witnessed the inception and growth of his foundation, the Casey Powell World Lacrosse Foundation, powering his continuous actions to bring smiles to the faces of players stricken by disease. Over the past few years Casey has also been working tirelessly with a team of highly qualified lacrosse ambassadors to develop a new crossover version of the game called SPEED. Combining the best aspects of box and field lacrosse, SPEED Lacrosse has been designed to serve as both a training opportunity and a tool for fostering participation in our game. 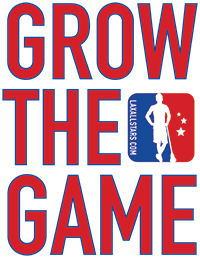 The rules and format leverage attributes from basketball, soccer, hockey, and tennis to provide a lacrosse experience with a lower barrier to entry and mainstream appeal. Teams of five players compete 3-v-3 on a “court” in which pads are unnecessary. If you’re in the New England area for NCAA Final Four weekend, you’ll be able to meet Casey and many other true ambassadors of lacrosse at the Courage Game on Sunday, May 28. Naturally we’ll be playing SPEED Lacrosse. This is a fantastic opportunity to try lacrosse for those without experience, or to play fast, teach, and inspire if you are familiar with it. Literally anyone of any age is welcome and encouraged to participate! The Courage Game, a 501(c)3 charitable organization supporting awareness for LGBT equality, returns for its third annual event on May 28 at the Moses Brown School in Providence, Rhode Island. The Game welcomes youth (U7-U13), high school, college, and adult (U30, U40, 50+) players to participate in a day of lacrosse celebrating inclusion and equality for all. The Courage Game originated when a young, gay lacrosse player, Braeden Lange, was struggling with the burden of acceptance amongst his peers. While his parents were accepting Braeden struggled with friends at school until he reached out to a player he admired, Andrew Goldstein, who had come out as a student athlete at Dartmouth College. Soon after reaching out to Andrew, Braeden witnessed something magical as fellow players from all over the world began to contact him, show support, and share their own stories. This experience encouraged Braeden to conquer the challenges he faced and ignited the idea for the Courage Game. “I feel so confident in who I am and almost unstoppable because I’ve had so many people standing with me and encouraging me to be myself. I still fit in, I’m still the same person,” said Braeden Lange following the first Courage Game in 2015. Today, the Courage Game has evolved to be much more than a single day of lacrosse. 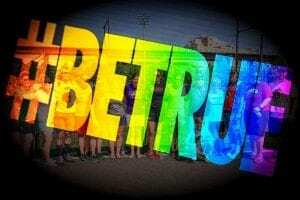 As a registered charitable organization, it collects donations year round to support its mission to encourage and support gay youth, rebuke bullying, and promote wider education and awareness for LGBT equality. All funds raised directly support the work to spread the mission, impact lives, and bring inclusivity to all youth sports. Registration for individual players and teams is open now at CourageGame.org. Opportunities for donations and sponsorships are also available. The Courage Game is a 501c3 charitable organization with a mission to encourage and support gay youth, rebuke bullying, and promote wider education and awareness for LGBT equality. Donations and all other funds raised go directly to supporting the work to spread our mission, impact lives, and bring inclusivity to all youth sports. Watch ESPN’s SC Featured special on The Courage Game here. Founder of Lacrosse All Stars. A West Coast native and product of the MCLA, I moved back East after college where I truly fell in love with the game. I've dedicated my career to LaxAllStars since 2010 because lacrosse brings me the kind of joy I want in my life everyday. We're on a mission to Grow The Game® on a global scale by empowering storytelling by players, for players, and bridging the gap between lacrosse and the mainstream.